Structure with the possibility of welcoming even for disabled people or with motor problems. Ideal place to relax immersed in the nature of the Tuscan Maremma. For those who love long walks on foot or on horseback, bike rides where you can appreciate the healthy air and the sweetness of the countryside full of sun and olive trees. For the quality of the sea and beaches, environmental care and equipment is considered an exclusive tourist destination in the Maremma. 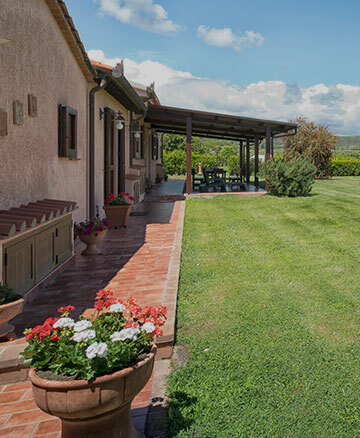 For customers who book in the low season, the Lucerne del Lago Prile farm will offer a FREE tasting of typical products of the Maremma Toscana of the Cantina i Vini di Maremma.